On Tuesday President Trump and First Lady Melania Trump visited Puerto Rico to observe the hurricane damage and relief efforts. 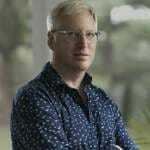 The far left San Juan Mayor was in the room scowling at the US president. The mayor looked annoyed and did not look at him. 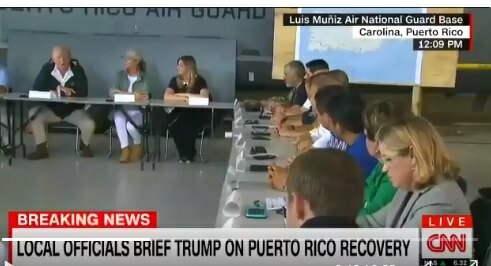 During the president’s meeting with top Puerto Rico officials President Trump and Governor Ricardo Rosselló discussed the hurricane deaths on the island. The governor told President Trump that 16 people have died in the level 5 Hurricane Maria. President Trump and Governor Rossello made the remarks in front of liberal San Juan Mayor Carmen Yulín Cruz. Last week Mayor Cruz accused Trump of “genocide” in Puerto Rico. 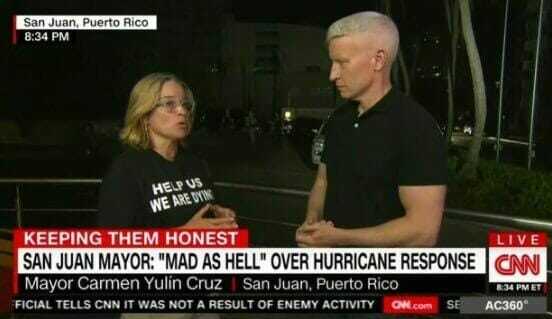 The dishonest mayor slammed Trump and wore a “Help Us We Are Dying” T-shirt as she made the rounds on the liberal media. Only 16 people have died from Hurricane Maria in Puerto Rico. No wonder the liberal mayor would not look at the US president during the meeting. And President Trump slammed the liberal mayor for politicizing the horrific disaster while she was sitting in the room.